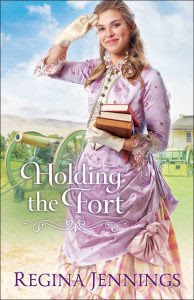 When Louisa arrives with some reading materials, she's mistaken for the governess who never appeared. Major Adams is skeptical. She bears little resemblance to his idea of a governess--they're not supposed to be so blamed pretty--but he's left without recourse. His mother-in-law must be satisfied, which leaves him turning a blind eye to his unconventional governess's methods. Louisa's never faced so important a performance. Can she keep her act together long enough? Buy the book HERE. Regina Jennings is a graduate of Oklahoma Baptist University with a degree in English and a history minor. She is the author of numerous novels, including For the Record, A Most Inconvenient Marriage, Sixty Acres and a Bride, and Caught in the Middle, and contributed a novella to A Match Made in Texas. 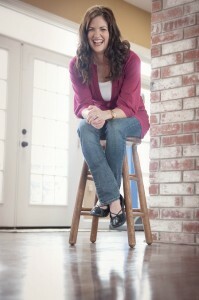 She has won a National Readers' Choice Award and been a finalist for the Oklahoma Book of the Year. She now lives outside Oklahoma City with her husband and four children and can be found online at www.reginajennings.com.